Neon signs are made using electrified, luminous tube lights that contain rarefied neon or other gases. These light-emitting tubes form colored lines with which a text can be written or a picture drawn, including various decorations. These signs are commonly seen as open signs. 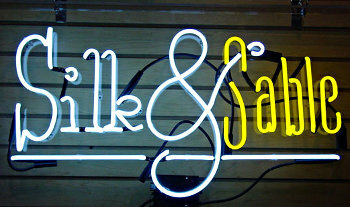 Neon signs will give you business an added appeal which will bring in more customers. We also install and repair neon signs. Give us a call to get a free estimate, or to learn more about our Signage options.